Spring of 2015 brought about a renaissance of sport. Twice in the span of about a month, the nation stood still for a sporting event. I'm not talking about just the people who wake up every morning to listen to sports talk radio. I am talking about the general public. Facebook was filled with comments. Random texts were exchanged between random phone contacts. And, of course, Twitter was alive. It wasn't the Super Bowl or a World Series game that focused the eyes of the nation on these two occasions. The cross-cultural consciousness was focused on the ancient sports of boxing and horse racing. 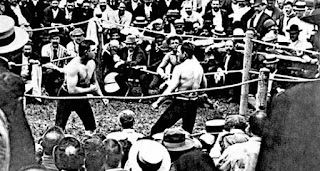 A century ago, boxing and horse racing both held prominent places in our nation. 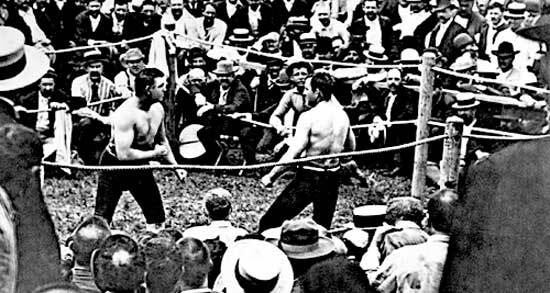 John L. Sullivan, a bare knuckles boxer in the 1800's, was perhaps the first American sports star. Man O' War was one of the first in a long line of horses that captured America's attention during the tough times of depression and war that dominated the early part of the 20th century. Louis and Ali. Seabiscuit and Secretariat. Those are just a few of the stars of that graced those two sports over the next 100 years. There is no question as the 20th century came to a close, the sports landscape was far more crowded and far different than it was at its start. Football is now the undisputed king of sports in the United States. Basketball also holds a place of prominence. But during the months of May and June, the nation's eyes were turned back to its sporting roots. May 2, 2015 may not have been the start of this old school sports renaissance, but it was a red letter day. Shortly before 6:00 p.m. EST, eighteen horses were called to the post at Churchill Downs for the 141st running of the Kentucky Derby. Two minutes later, American Pharoah earned a place in the winner's circle. Little did we know at that time that we had witnessed the start of a historic run. As exciting as the Derby was, the highlight of the May 2 sports calendar took place later that night in a boxing ring in Las Vegas. 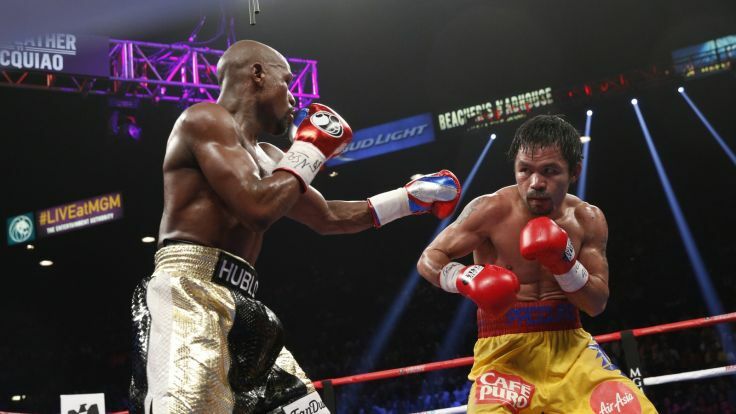 In what was tabbed "The Fight of the Century," Floyd Mayweather finally faced off against Manny Pacquiao. The fight was an amazing international spectacle. Celebrities filled the stands of the MGM Grand Garden Arena. People around the world doled out a record-setting $100 for PPV in record-setting numbers. Floyd Mayweather put on a clinic for the ages in a dominating win. A month later the momentum for old school sports reached a crescendo. On June 6, 2015, horse racing and boxing once again held featured spots on a packed sports day. NBC gave us high level boxing for free in the afternoon. The PBC gave us a welterweight matchup between Robert "The Ghost" Guerrero and Aron Martinez in an outdoor fight at the StubHub Center in Carson, CA. The heavily favored Guerrero won by split decision, but not before overcoming a 4th round knockdown. The sports night ended with a middleweight championship fight between Miguel Cotto and Daniel Geale. It was a mismatch on paper, and it turned out to be a mismatch in the ring when Cotto stopped Geale in the 4th round. But, it was big time boxing in the Barclay's Center in Brooklyn, NY. In between these two boxing events, the nation and the world were mesmerized by the events that took place at Belmont Park in Elmont, NY. American Pharoah entered the Belmont Stakes with a chance to win horse racing's coveted Triple Crown. The Triple Crown feat had not been accomplished since 1978. 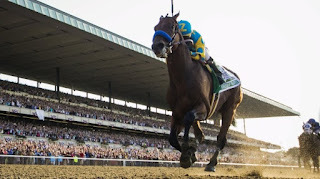 Over the course of 2 minutes and 27 seconds, American Pharoah put on an incredible display of raw athletic talent. American Pharoah led wire-to-wire against a rested field to win the 147th running of the Belmont Stakes. That completed an amazing Triple Crown victory. Boxing and horse racing are among the purest expressions of individual athletics. Uniforms do not obscure muscles, and equipment does not impact performance. Athletic superiority is breathtaking to watch whether it is human or equine. It has been a pleasure to watch a renaissance of sport over the course of this spring.